After our day in Kona, we headed for the eastern side of Hawaiʻi island, to the town of Hilo, where we stayed with some of my relatives just upcountry of the island's biggest town. This guy was very confused with what I was doing. Or maybe he thought I might give him dog treats. They love dog treats. One of the excursions I planned for us from the start was to Kīlauea Volcano. Unfortunately due to increased volcanic activity many parts of the park were closed off. At least we were able to make it to the viewing point for the Halemaumau crater. The crater is the home of the volcano goddess Pele and is an important cultural site. It doesn't look like much here but down inside that crater, lava bubbles away. If you go at night you can see a reddish glow emanating from the depths of the crater. Too bad we missed that! 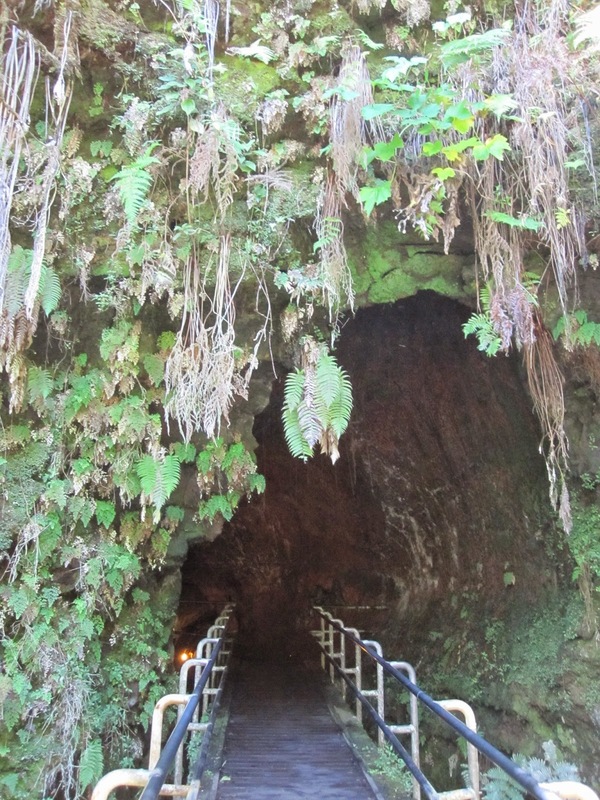 We also explored an ancient lava tube that is now covered lush rainforest vegetation. Winding our way down into the rainforest on our way to the tube. We made it! 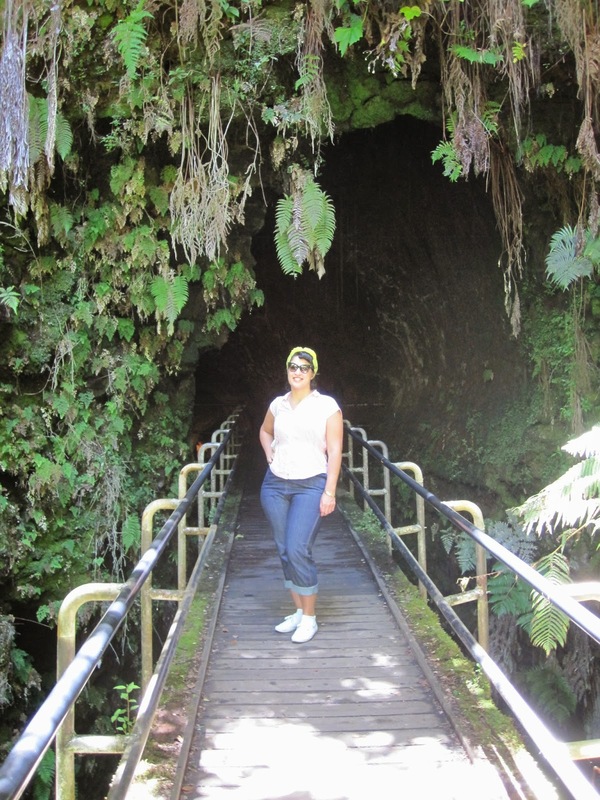 How cool is this giant lava tube?! Imagine it full of flowing molten lava. I had to get a photo with it. As you might imagine, it's not too easy taking photos inside of a lava tube, so this was it for the day. But our Hawaiʻi island adventures didn't stop there because the day after we were off to the northern parts of the island: Waimea, Hawaiʻi's paniolo (cowboy) country and to Waipiʻo, Kukuihaele, and Honokaʻa. Lots more photos to come in the next post!